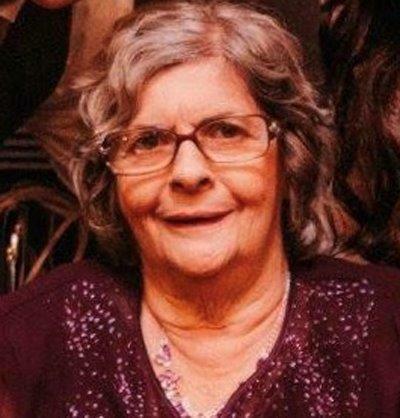 Theresa F. (Barberi) Cline, 75, of South County Trail, West Kingston, RI, passed away on Thursday morning, September 6, 2018 at South County Hospital, Wakefield, RI. Born in New London, CT, she was the wife of the late Hubert Cline and the daughter of of the late Adolph and Frances (Concasia) Barberi. Theresa was a home maker to her loving family. Theresa is survived by two daughters; Sherry Serrano and Carrie Scavello, eight grandchildren; Justin, Kristen, Maritza, Anjelica, Haleigh, Jaimee and her spouse Brian, Lucas, Zachary and five great grandchildren; Oliviah, Owen, Mason, Colton and Mila. A memorial service will be held on Saturday, September 15, 2018 at 11:00 am at Rushlow-Iacoi Funeral Home & Crematory, 64 Friendship Street, Westerly, RI. Burial will be private. In lieu of flowers donations in her memory can be made to the Mental Health Association of Rhode Island, PO Box 6588, Providence, RI 02940 or the National Alliance on Mental Illness (NAMI), 154 Waterman Street, Suite 5-B, Providence, RI 02906-3116.